Hello, if you're tired of fighting the same minions over and over, you've come to the right topic. This mod will replace all minions except Fire Giant and all of Atlantis's minions. Note: this makes the game a lot harder, if you want to make it easier, i suggest deleting the "npcdamagescale" and "npchealthscale" lines for all of the minions in the game. 1- Npcstat matching all changes made in this mod. 2- 50% stronger minions and bosses. 3- New skins and powers added to all minions except Fire Giant and Atlantis's minions. 2- Huds matching all changes. 3- Me changing Atlantis's minions. 1- New minions uses their old sounds and their new powers don't have sounds.--> The latter should be fixable by renaming the sound effects in their powerstyle to their playable counterparts. 2 - Random crashes at Fighter Bay's Corsair scene(might be fixed). 3- If any other, please report. JeanFan321: The idea and the examples, since this was based on his npc changes. 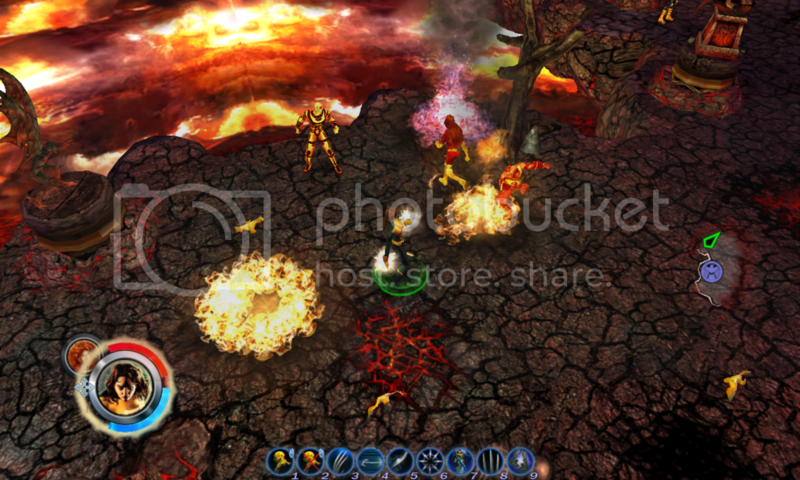 Maegawa: Support, advices, topics, quick play mod, cyclops and sunfire's boosters, Evil Wolverine and AIM npc mod. Outsider: Support, advices, topics, Colossus/Selene booster, Mister Sinister's and Stepford Cuckoo's mods. Dameshudson(maximoff): Support and all of his Doom's Day skins. Erik Lensherr:Morgan Le Fay mod and support. Julio Cabral: Hercules mod and support. Midnightphoenix: His Selene mod and various topics. Blizz: XML2 Characters conversion and Avalanche mod. Dark_Mark: Magneto and Hulk mod. SAN: His tweaking ai topic. Andersonbrasil: His skins and support. Norrin Rad: Angel,Shadowcat and Polaris mods. MUAlover: Storm's and iceman's boosters. Nowhere Man: for his many topics that helped me understand some parts of modding. Tommyboy: for his many topics that helped me understand some parts of modding. Teancum:for his many topics that helped me understand some parts of modding. My mom:Changing my first herostat 8 years ago and all of her support/love through the course of my life. If i forgot anyone or anything, please let me know and i will gladly credit you. YAY!! I'm so happy this is out and complete! I can't wait to try it!